TARYONO, Taryono; CIPTOMULYONO, Udisubakti; K, Buyung. DECISION MAKING MODEL ELECTION OF LOCATION OF MENTAWAI NAVAL BASE BY THE APPROACH OF BORDA AND PROMETHEE METHODS. ASRO JOURNAL - STTAL, [S.l. ], v. 9, n. 2, p. 33-47, oct. 2018. ISSN 2460-7037. 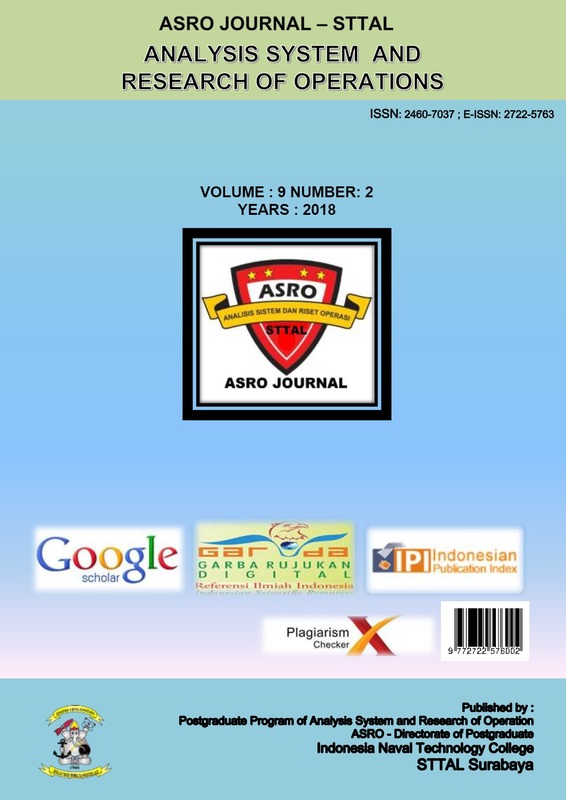 Available at: <http://asrojournal-sttal.ac.id/index.php/ASRO/article/view/76>. Date accessed: 23 apr. 2019.